Exactly! That’s precisely the experience we wanted recipients to have when they come in contact with any of the branded collateral created for The Chosen Few. Timeless elegance with plenty of pomp and circumstance! In other words, something truly special. 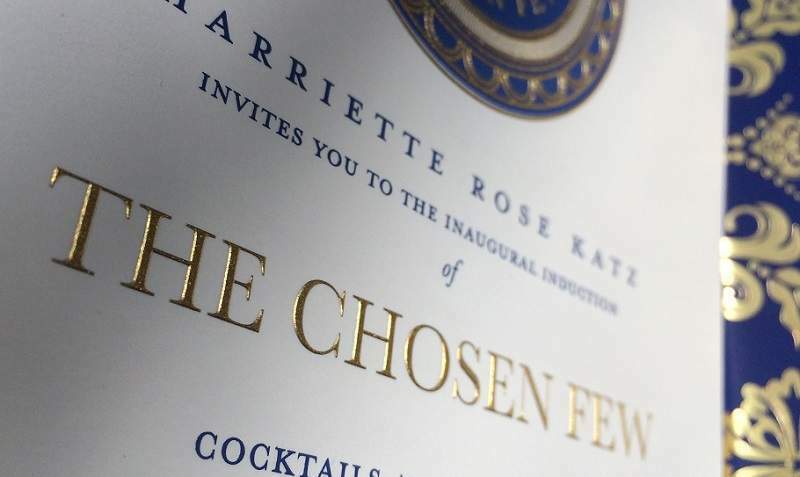 Not unlike the Michelin Guide, we wanted all the logos, collateral and commemorative elements to convey the significance of the appointment and the esteemed position it provides in the industry. 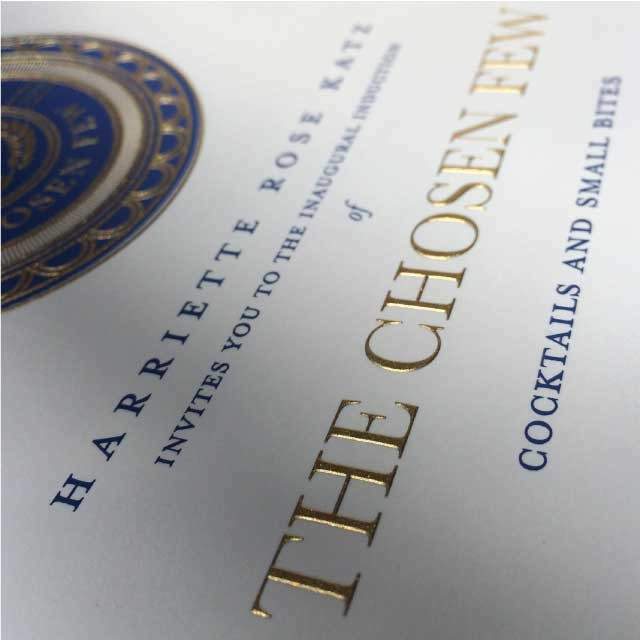 All of the branded materials created for The Chosen Few, from the website to the brochures, medals, signage, plaques, invitations, and announcements, were designed collaboratively with Vanessa Kreckel of Two Paperdolls. 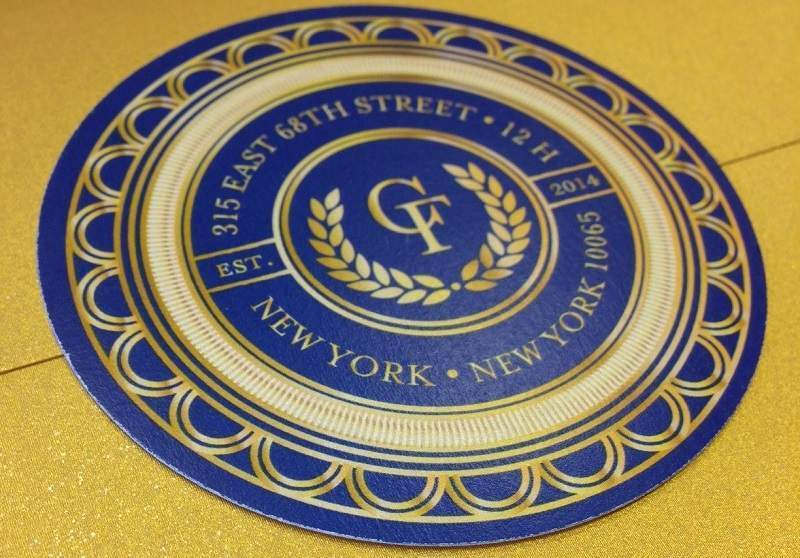 While we can’t reveal all of the materials yet, we can share a peek at the exquisite blue and gold custom-designed invitation that Vanessa designed for The Chosen Few inaugural Induction Ceremony. 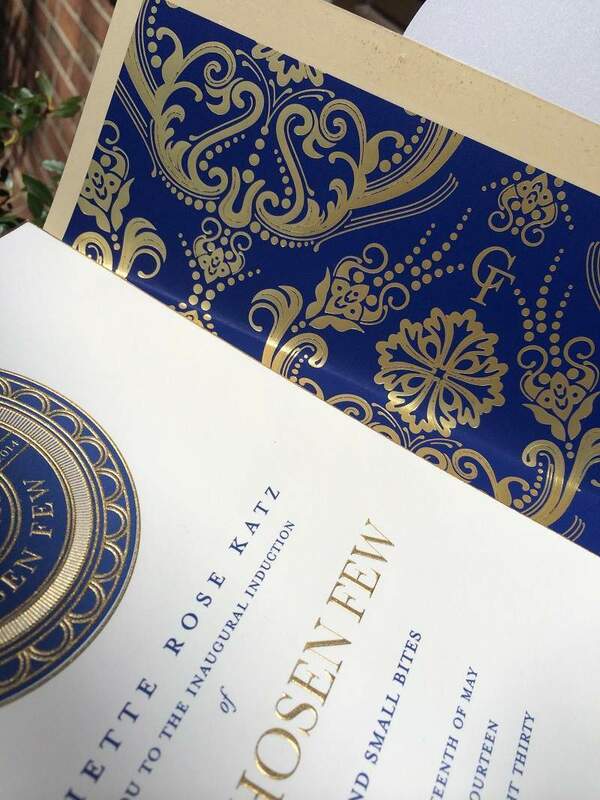 Delivered in a heavy, rich metallic gold envelope, honored guests and esteemed inductees were blown away by the occasion these stunning invitations represented. Exactly!